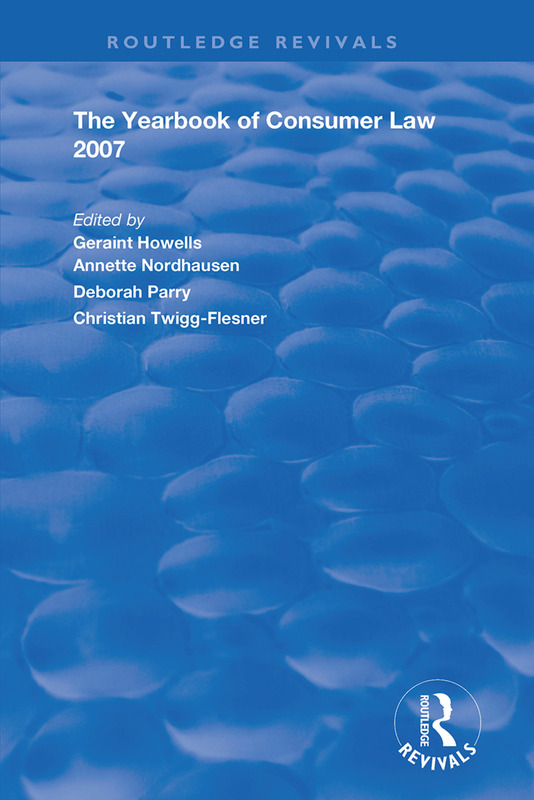 First published in 2007, The Yearbook of Consumer Law provides a valuable guide to developments in the consumer law field with a domestic, regional and international dimension. The volume presents a range of peer-reviewed scholarly articles, analytical in approach and focusing on specific areas of consumer law such as sales, credit and safety, as well as more general issues, such as consumer law theory. The book also includes a section dedicated to significant developments during the period covered, such as key legislative developments or important court decisions. The book provides an essential resource for all those, academic and practitioner, working in the areas of consumer law and policy. The Italian Codice del Consumo — Improved Consumer Protection Through a New Codification?